Indian Creek Braves Varsity fell behind early and couldn’t come back in a 10-4 loss to Whiteland Warriors Varsity on Friday. Whiteland Warriors Varsity took the lead on a double in the first inning. The Indian Creek Braves Varsity struggled to contain the high-powered offense of Whiteland Warriors Varsity, giving up ten runs. Whiteland Warriors Varsity got things moving in the first inning, when Maddy Margraf doubled on a 1-0 count, scoring two runs. Indian Creek Braves Varsity put up three runs in the seventh inning. The offensive onslaught came from a triple by Kasey Wilhoit and a single by Jacqui Button. Whiteland Warriors Varsity scored four runs in the seventh inning. Whiteland Warriors Varsity scored its runs on a grand slam by Haylee Mathena. Delanie Gourley pitched Whiteland Warriors Varsity to victory. She allowed five hits and one run over six innings, striking out four and walking zero. Shelby Gibson threw one inning in relief out of the bullpen. Jozie Farris took the loss for Indian Creek Braves Varsity. She allowed four hits and three runs over three innings. Whiteland Warriors Varsity socked two home runs on the day. Margraf had a homer in the fifth inning. Mathena had a dinger in the seventh inning. Indian Creek Braves Varsity totaled nine hits in the game. Wilhoit, Kayla Lemmon, and Talea Bowling all managed multiple hits for Indian Creek Braves Varsity. 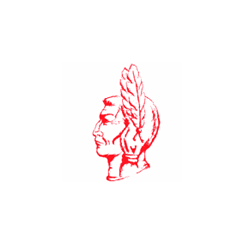 Wilhoit went 3-for-4 at the plate to lead Indian Creek Braves Varsity in hits. Whiteland Warriors Varsity had 12 hits in the game. Allie Watson, Macy Cornelius, Gourley, and Margraf all had multiple hits for Whiteland Warriors Varsity.